Why have Chelsea struggled this season? August’s opening-day defeat to Burnley was a shock at the time, but it has proven to be symbolic of a season in which Chelsea have struggled to match the heights of the last campaign. 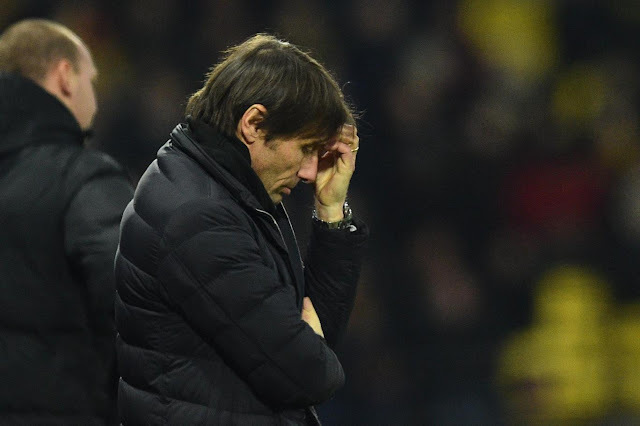 Defeats to Watford, Bournemouth, Crystal Palace and West Ham have followed, and more recently, Antonio Conte’s men have also slipped out of the top four. At the end of February, Conte was forced to admit that we may not finish in the top four and consequently face the prospect of missing out on Champions League football next season. The bookies appear to agree, seeing Chelsea as an outside bet to finish the campaign above fifth. What has gone wrong? There is no single factor that can explain the decline, but a number of problems have combined to produce this (so far) disappointing campaign. The most obvious, but possibly the most important, is the transfer business that was done last summer. Instead of building on our strengths and adding to the squad, Chelsea ended up desperately trying to replace two key players: Nemanja Matić and Diego Costa. None of the players brought in have been able to offset the void they left behind. Álvaro Morata has so far proven to be a pale imitation of Costa, and without Matić, the Chelsea midfield has been less dominant and resilient. Another factor that has counted against us is the extra strain placed on the squad by Champions League football. Last year, we had the luxury of resting key players while rivals were playing midweek in Europe, but this time around, Conte has had to manage simultaneous European and domestic campaigns, and the lack of depth in the squad – which is probably weaker overall than last season’s – has been exposed. It is also true to say that other teams have caught up with Conte’s tactics. Both Liverpool and Manchester City have improved this season, though that could have been expected given the abilities of their managers. What has hurt Chelsea most this season has been the ease with which lesser teams have managed to overcome the challenge of the 3-4-3 formation. Last season, Conte’s tactics proved irresistible and we were able to sweep all before us, but this time around, every team in the Premier League seems to have an effective plan to counter the system, either by mirroring it or by targeting the potential weaknesses within the formation in central midfield and behind the wing-backs. Conte has tried to adjust by dropping an extra man into midfield, but that has simply led to fewer goal-scoring opportunities. Last year, Chelsea were setting the pace tactically, but this year, we seem to be playing catch-up. With the Premier League title race effectively over, we now face a battle to get back into the top four. Of our remaining games, Tottenham and Liverpool will give us the opportunities that we need to close the gap, but it will be tough. Victory at the Nou Camp tonight will be a huge feat, and will surely give us a much needed boost to finish the season the strong. Whether we make it into the top four or not, it is clear that Conte and the club need to go back to the drawing board this summer to ensure that next season doesn’t see a repeat of this disappointing Premier League campaign.